I have been using Greenwald’s cleaners for awhile now. I absolutely love their products. They are eco-friendly because they all come in water soluble packs that you simple drop into a spray bottle with water and let it dissolve. So now instead of having to buy a new bottle every time I purchase cleaner I can reuse the same spray bottle over and over again. This is also cost-effective because instead of paying for an entire bottle I can just get refill packs and for the price of one bottle of the other cleaners I can get enough packs to make six bottles! The carpet and fabric stain remover is a great product. It has a great odor that makes your house smell great after you finish cleaning. It’s a great cleaner so you can use it on just about any carpeting or fabric material. I have the spray bottle in my utility closet and I pull it out all the time to clean up stains, spills, messes, etc. It works great and I have never had a problem with them working well. The packs are easy to use as well, just toss it in the bottle with some water and it dissolves and you are good to go! Super easy! This is the refill packs so you get a package of six cleaner packs so you can make six bottles with this one set. ★ WORKS LIKE A MIRACLE POTION – It’s simply amazing. It cleans old stains as well as new. It does a magnificent job cleaning stains in upholstery, cloths, shoes, floor, carpet, rugs, red wine, coffee, pet stains, human stains, cat and dog urine, vomit, blood. It eliminates most water-based and oil-based stains and it’s Made In The USA. ★ DOESN’T LEAVE RINGS, STICKEYNESS OR CRUSTINESS – Other carpet cleaners leave residue that attracts dirt or leaves unpleasant marks behind. Our special commercial grade formula works harder and better than other consumer choices. ★ SAVE ON CLEANING EXPENSES – Makes 6 32-oz spray bottles at a fraction of the cost of other leading brands, plus it’s commercial grade. Since the refills fit in the palm of your hand your storage requirements for cleaners just got significantly reduced. ★ ENVIRONMENTALLY FRIENDLY – Refills completely dissolve leaving nothing leftover. No need to buy a new plastic bottle every time you’re out of cleaning product, simply reuse your existing bottle., your assured of many future uses. ★ 100% SATISIFACTION GUARANTEE – If for any reason you don’t feel this is the best stain remover you have ever used or wouldn’t feel comfortable recommending to others we’ll refund every penny. We’re also including a personal favorite Free Spring Cleaning eBook that includes a house cleaning checklist. You can purchase these refill packs on Amazon! 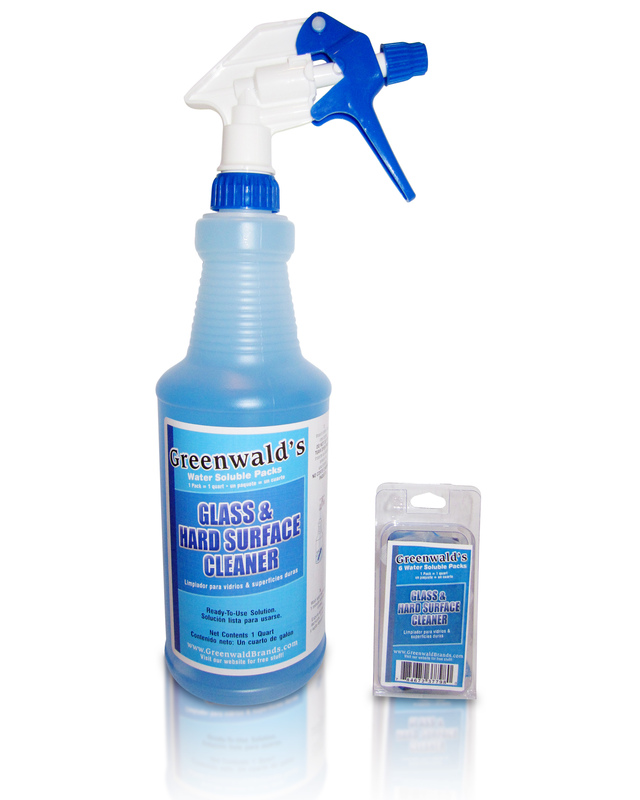 The glass and hard surface cleaner is a great cleaner. It has a great smell that makes your house smell great after you finish cleaning. 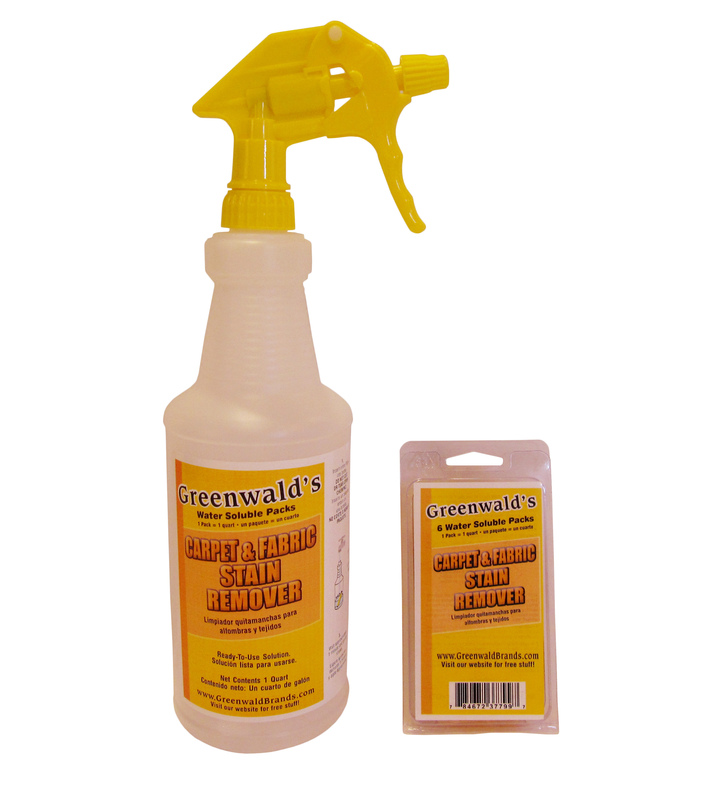 It’s a great cleaner so you can use it on just about any glass or hard surface. I use the cleaner all over the house. I have the spray bottle in my utility closet and I pull it out all the time to clean up stains, spills, messes, etc. It works great and I have never had a problem with them working well. The packs are easy to use as well, just toss it in the bottle with some water and it dissolves and you are good to go! Super easy! ★ Commercial Strength, Cleans The Toughest Grime. Easily Remove Fingerprints, Grease, Films and Smearing. ★ Environmentally Friendly, Doesn’t Fill Up Landfills With Plastic Bottles. Easy To Store. ★ 100% Money Back Guarantee If Not Completely Satisfied. We’re Also Including FREE A Personal Favorite Spring Cleaning eBook That Includes A House Cleaning Checklist, A $9.97 Value. 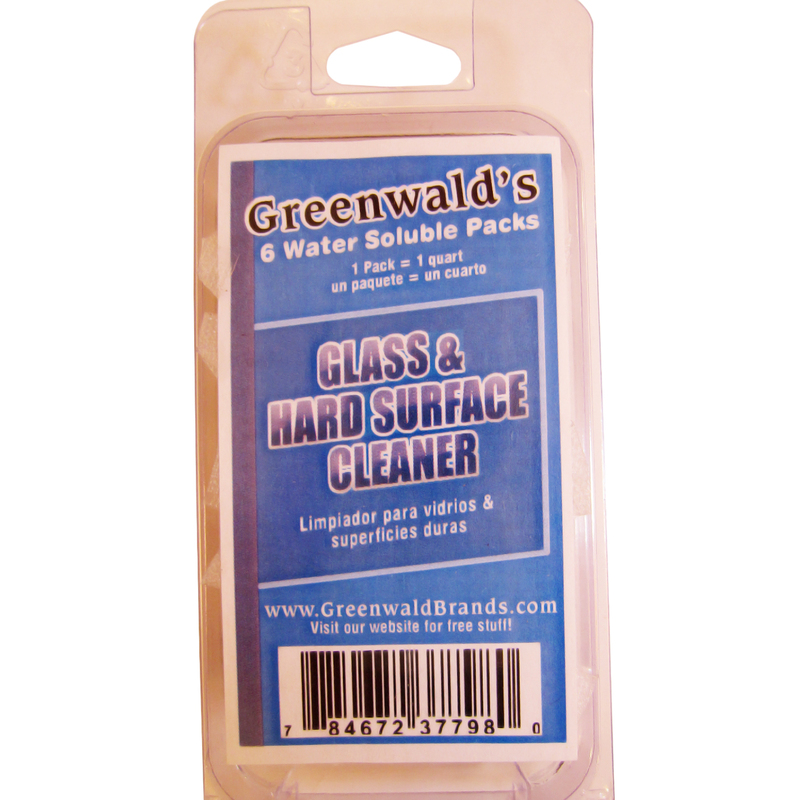 The glass and hard surface cleaner is a great product. It has a great odor that makes your house smell great after you finish cleaning. It’s a great cleaner so you can use it on just about any hard surface or glass. I use it on my glass and hard surface every week during me weekly cleaning and I’m very happy with it. It works great and I have never had a problem with them working well. The packs are easy to use as well, just toss it in the bottle with some water and it dissolves and you are good to go! Super easy! This is the starter kit so you get a spray bottle with spray lid and a package of six cleaner packs so you can make six bottles with this one set. Then when you run out you will only need to purchase the refill packs. No Streak, Film Or Leftover Haze. Leaves Glass Crisp & Clear Without Water Stain Or Spots. Lasts 6 Times Longer. Makes 6 32oz Bottles. Only $2.16 Per Refill. Saves On Cleaning Expenses. Commercial Strength Removes The Toughest Grime And Dirt. Backed By Our 100% Satisfaction Money Back Guarantee. Includes FREE Spring Cleaning eBook With House Cleaning Checklist, A $9.97 Value. You can purchase this cleaner on Amazon! 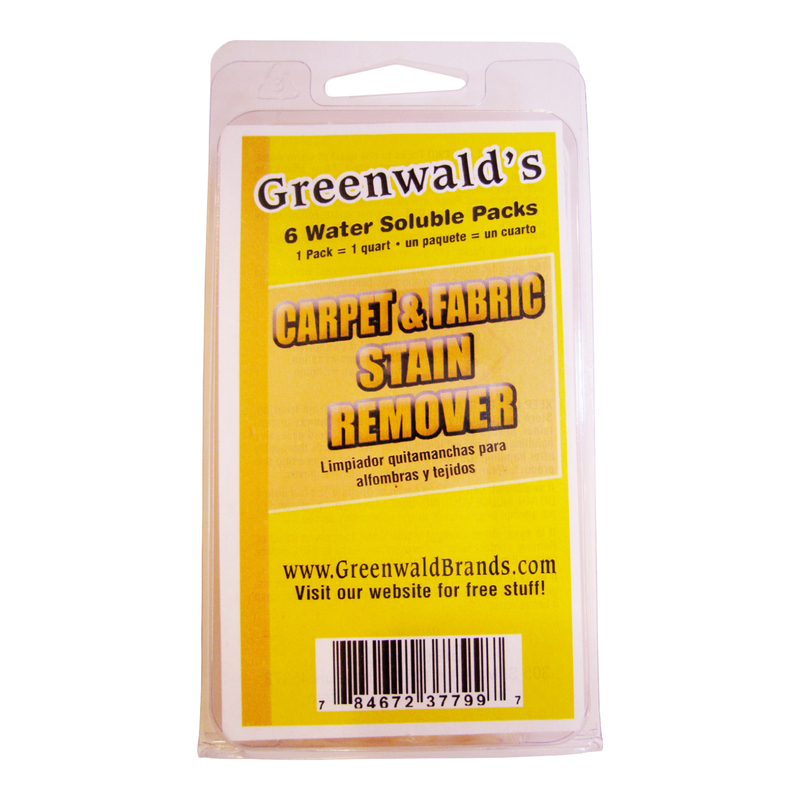 The carpet and fabric stain remover is a great product. It has a great odor that makes your house smell great after you finish cleaning. It’s a great cleaner so you can use it on just about any carpeting or fabric material. I have the spray bottle in my utility closet and I pull it out all the time to clean up stains, spills, messes, etc. It works great and I have never had a problem with them working well. The packs are easy to use as well, just toss it in the bottle with some water and it dissolves and you are good to go! Super easy! This is the starter kit so you get a spray bottle with spray lid and a package of six cleaner packs so you can make six bottles with this one set. Then when you run out you will only need to purchase the refill packs. ★ SAVE ON CLEANING EXPENSES – Your 6-pack easily makes 6 32-oz spray bottles (Note: Professional Spray Bottle Included) at a fraction of the cost of other leading brands, plus it’s commercial grade. Since the refills fit in the palm of your hand your storage requirements for cleaners just got significantly reduced. ★ ENVIRONMENTALLY FRIENDLY – Refills completely dissolve leaving nothing leftover. No need to buy a new plastic bottle every time you’re out of cleaning product, simply reuse your existing bottle. Since our high quality professional bottle is included, your assured of many future uses. The citrus all-purpose cleaner is a great cleaner. It has a great citrus smell that makes your house smell great after you finish cleaning. It’s a great cleaner so you can use it on just about any surface. I use the all-purpose cleaner all over the house. I have the spray bottle in my utility closet and I pull it out all the time to clean up stains, spills, messes, etc. It works great and I have never had a problem with them working well. The packs are easy to use as well, just toss it in the bottle with some water and it dissolves and you are good to go! Super easy! You can purchase these packs on Amazon!